Fall has arrived, the economy is picking up, and business is starting to churn again. But sending people to your website makes you feel a little…uncomfortable. Five years ago, people oohed and aahed, but that was five years ago–and the site no longer reflects all aspects of your business. It is definitely time for a redesign. But where do you start? There are so many different kinds of sites out there. You have spent the last umpteen years focusing on your business–what you do best–and not on new web standards, design trends, and internet marketing strategy. You would love to dump the entire project on someone else. However, this is an expensive proposition, and you may not get the site that works best for you. With good planning and a clear eye on your site goals, you can save thousands of dollars. Think of a website like building a house. Probably not the best idea to put up walls without a comprehensive blueprint. You would probably end up tearing rooms down and starting over a dozen times. 1. What Is My Main Site Goal? Try to establish the most important goal of creating a website. This goal is your primary purpose, and it will drive all content and even the design. Once you have done this, you can focus every page toward that goal. If you are selling a product, you want to make sure your users are guided toward a purchase on every page. 2. What Are My Secondary Site Goals? Your main goal, for example, may be to sell a product, but perhaps you do not want to spend half the day on the phone providing customer service for questions that can easily be answered with a help section. Making a list of secondary goals will help clarify every aspect of the site and actually make it easier to achieve your main goal. 3. What Sites Have Similar Goals? • Are there sites out there with similar products? • Are these sites Flash? HTML? A hybrid of the two? • What is on these sites that I like? What don’t I like? • How can I compete with these sites? • How high do these sites rank on Google for certain keywords? Once you have found a few, make a list of them and discuss them with your web developer. 4. How Do I Structure My Site Based on These Goals? Once you have done your homework, building a site map is an easy process. If you have a good web developer, all you need to do is spend a few minutes with a Word file to list the sections you want on the site. When you have made this list, create an outline of what you would like in each section. Then, send it to your developer. 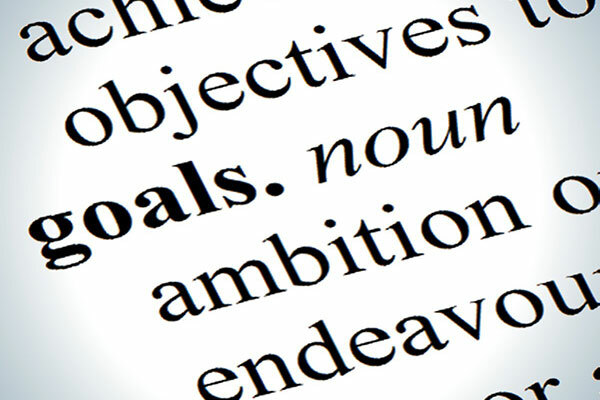 Determining your site goals are an important first step in creating a website. With just fifteen minutes of planning under your belt, you can save considerable time and money and create a website that works effortlessly for your business.